Start taking classes at The Altitude Centre and other studios! Altitude Training! The Altitude Centre offer the highest classes in London. Taking place at a simulated altitude of 2700m above sea level, you can get what feels like a 60-minute workout, in half the time. Classes are for everyone, from beginner to expert... the intensity is determined by your own ability, and there is no hiding from instructors! Run & Ride Club: Performance cycling and running classes Summit Circuits: Resistance training to suit beginners through to experts. HypoxicHIIT: 30-45 minute cardio classes that will feel like 60-90 minutes! From Kettlebell Circuits, to cardio endurance & HIIT - The Altitude Centre truly offer something for all & a unique training experience! When to arrive: 15-minutes before (first class). What is required: The pre-requisite induction form can be completed online here (https://www.altitudecentre.com/members/sign-up/). Entry to the class will NOT be permitted until the form is complete. What to wear: Sensible gym kit for exercise. Cycling shoes NOT provided for cycle classes - Gym trainers, SPD Mountain Bike, or Look Keo cleats are suitable. Facilities: Towels complimentary. Toiletries provided. Water bottles provided. Padlocks required for mens changing rooms. 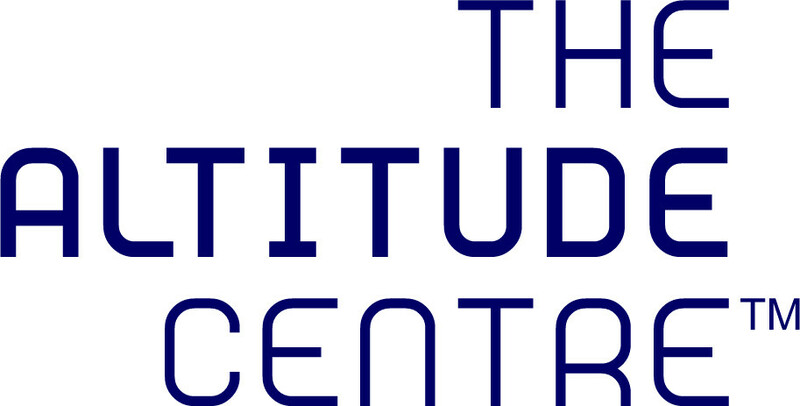 The Altitude Centre 6 Trump Street London EC2V 8AF Enter via the Sweatshop Running Store. Upon arrival please head to the changing facilities, down the stairs at the back of the store (unless already changed). Gym and Shower towels are available as complimentary. Once changed head to The Altitude Centre's 'chamber' on the top floor! Such a tough workout, thoroughly recommend!! Really random. People walking into the class through it. Nice instructor but a bit of an amateur, wierd set up. Not good dealing with issues with sound sensitivity and ignored the information given at the start of the class about it. No adaptations to make the class pleasant for someone with additional needs (which would have been easy and reasonable to do). Really enjoyed it! Is one rowing machine then a few treadmills and cycles, you all work at the same time through HIIT sequences. Great teacher, nice and speedy, really good facilities. Great workout, challenging and different. The treadmills are nice and fairly easy to work. Having read the other reviews, I was prepared for the fact that it would be a mix of runners and cyclists, and that other gym users might pass through, but it’s definitely a different feel to other classes. Effective though!